I haven't sketched for a week and a half so sitting outside and studying this mountain was nice. 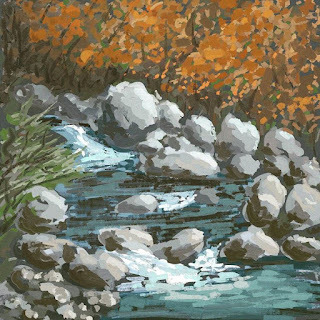 There is an artist named Mike Hernandez who does some incredible impressionistic paintings in gouache. I really like his style and with this one I tried to mimic some of what he does. 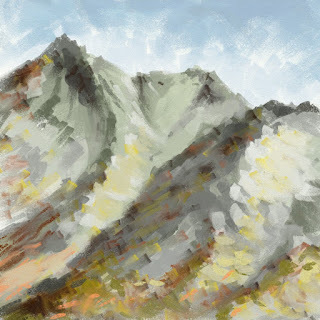 I used the oil brush in Artrage with low paint loading so the strokes were shorter. I like how it went. Painted on my Samsung Note3 with stylus.